Muppie Lounge will launch a new range every three to four months, depending on the time of year. Each range will have a new story (probably always mommy related) and new Muppie sketches. Each range will be a limited edition. Once I launch a specific product, it will never go back to print and to being reproduced. I will always choose 5 or 6 of my favorite sketches and those will reappear during the time I run that specific range, but it will make it’s appearance on something different each time. So if you are in love with a picture but not the cut or style of the product, just keep watching all our social network pages, and who knows? Your favorite sketch might just appear on your favorite style. My idea of a perfect outfit is to look different than the mass produced “same old same old” I also don’t want to rock up at my kids concert wearing the same red dress as the mom sitting next to me. I want to create something different and then “keep it unique.” I also want to make woman aware of the fact that when you see something you really adore, you go out and spoil yourself. Don’t ever land up regretting your decision of waiting. Remember when you go back tomorrow, it might be gone forever. This has happened to me on so many different occasions and I always promise myself I will never do it again, but I always fall into this same mommy trap. As moms we always put everyone else above ourselves, and very seldom spoil ourselves. There is always something more important on the list and we can wait (we wait and the list gets longer)…. I know, I’m a mom too. Even if I do have the money available, I always take something for the kids instead. There is nothing wrong with that, we are moms, this is what we do and it makes us happy, but just sometimes, we need to drop the mommy guard and be a little reckless. Just sometimes we need to get ourselves something instead and wear it like we own it. With all that said, I do make enough of each print and style in each size to service enough mommies out there, but in the short period of time I have been in business I’ve already had disappointed moms. Don’t let this happen to you. So with that said, I am going to end my post by quoting Mr Price: Get it or regret it. 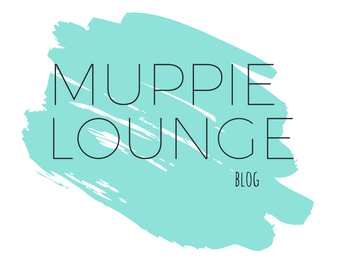 Muppie Lounge is a limited edition kind of business, go check out our cool stuff and follow us on all the social networks. Previous postMore about our first range. Great idea this. Are there Muppie clothes for kids too? Or something for a mom to twin with her kid – since we would rather spend money on our kids first?